Whether you are a football fan or not, football is a major part of the fall season, and millions are glued to the television set on weekends routing on their favorite team. For others, it’s their favorite college, high school, or even pee-wee teams. 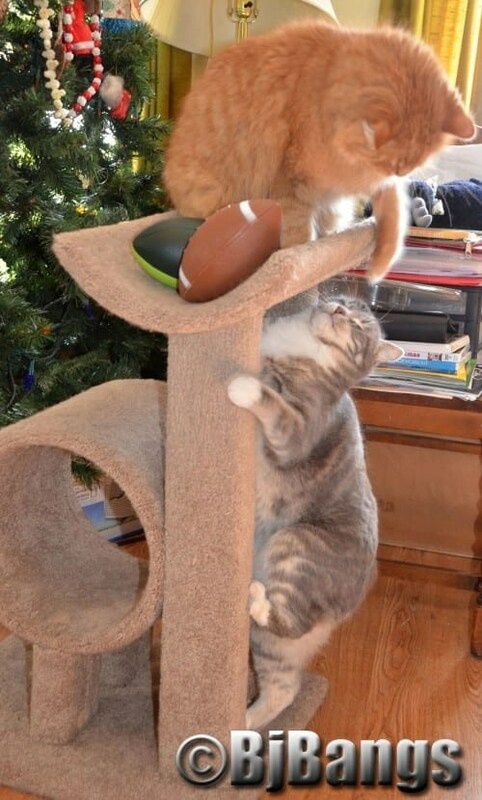 Today, the felines at the Paws household show you their version of football. 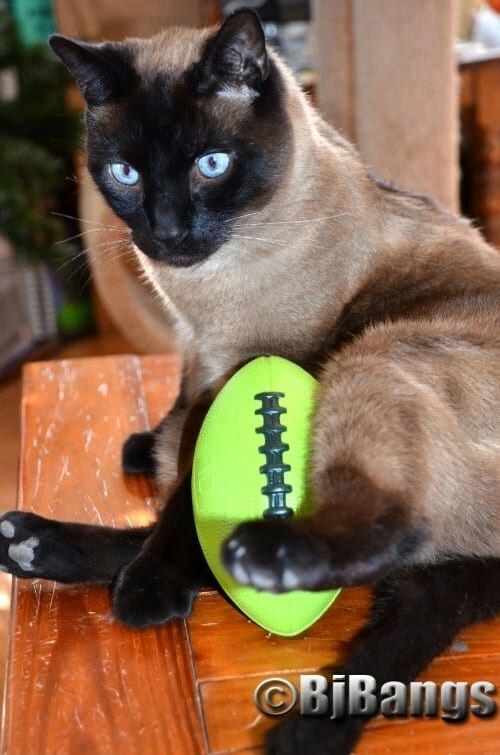 Do your cats like to watch or play sports? Do they invent their own game, like batting around catnip mice, chasing balls, or playing in cardboard boxes? What’s their favorite game? 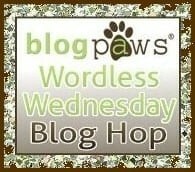 Share your comments and stories on how your kitties are rockin and rollin this fall. Fall and football go hand in hand. This kitty is ready to play. What position do you think she’ll play? It’s time to gain control of the football, but who do you suppose is going to win? Time out to regroup for a winning strategy for this kitty football player. Do you suppose kitty stared the air out of the footballs? 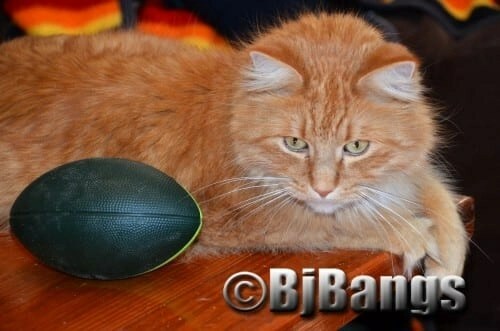 Maybe the cats should be fined for deflate-gate? Cute kitties. They were found innocent of deflating-I am from Massachusetts 🙂 Just kidding though because I am not a sports fan. Also from rural New England. They still like to talk about deflate-gate and spy-gate. Wonder how the kitties would do at spying. They certainly can be stealthy.